Personal jetpack gets flight permit for manned test | Fox News. In her hangar, RNZAF and special operations support personnel are assembling a dozen unusual-looking devices, scarcely worth of the title ‘aircraft’. 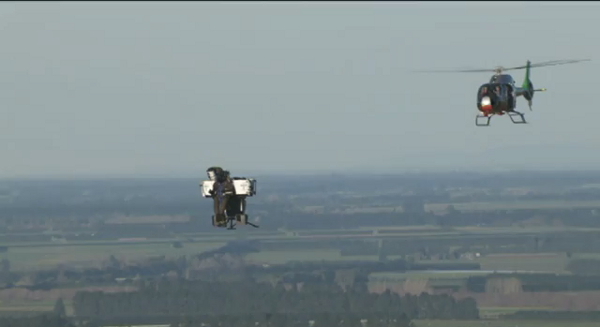 This is the first operational deployment of the Martin ‘jet’ pack – which is not actually a jet at all but two ducted fans able to carry soldier in combat equipment over 100 kilometres – after a period of evaluation and experimentation by the New Zealand Defence Force. Although New Zealand had introduced a fleet of all-new military helicopter in the early mid-2010s (twenty-tens? twenty-teens? ), the problem it faces is not so much that it does not not have enough of them but that it does not have enough or big enough flight decks to operate them from in the vastness of its South Pacific area of responsibility. 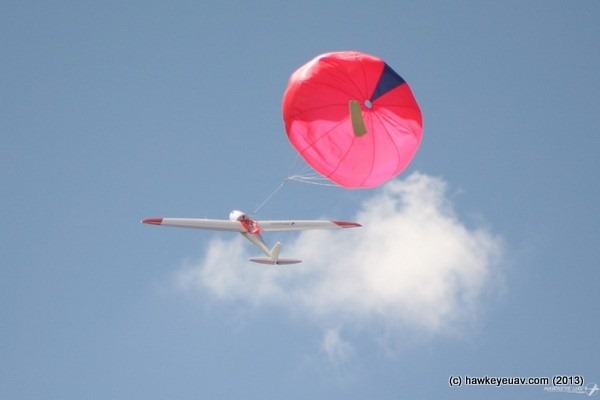 One solution to this problem comes from classic Kiwi ingenuity: since 2004, a small company in New Zealand’s South Island has been working on development of a jet pack that would fulfil the promises of 1960s engineers for a personal aviation capability. After a two year period of evaluation, experimentation and innovation, the partnership between the Martin Aircraft Company and the Defence Force has evolved the Jetpack into a stealthy reliable vehicle that not only meets all expectations for operational and technical airworthiness but which is also able to be operated by soldiers after a short but intense four week training course. 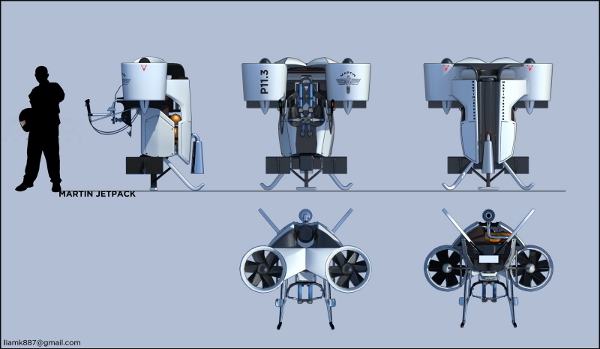 The heart of the Jetpack that enables it to be operated by relatively inexperienced (from an aviation perspective) personnel is the New Zealand-designed flight control system. Although the operator can take control of the jetpack when necessary, especially to avoid potential obstacles and other hazards on landing, for the most part of their journey, they are passengers as the Jetpack flies its preprogrammed course under the control of an external remote control station. Full military operator certification is awarded after a three month course conducted at the Central Flying School at RNZAF Ohakea. 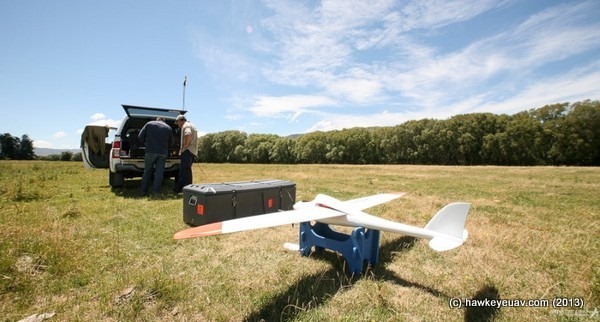 Late the previous day, Otago had surveyed the operations landing zone with one of its two RQ-84K UAS and conducted a final daylight reconnaissance over the objective. The data from this mission has been processing into a high resolution 3D dataset that updates the recovery force’s mission planning and rehearsal system – a simulation on some seriously bad steroids; and also allows flight planners to identify and avoid any potential hazards along the ingress and egress routes. As the mission preparation progresses, the two RQ-84s maintain a tag team watch over the landing zone and objective, monitoring any changes that may affect the mission. 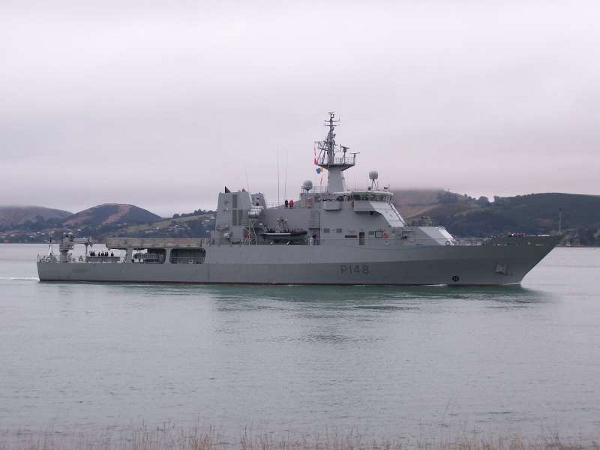 Powered by a lightweight hydrogen fuel cell, each RQ-84 has an endurance of six hours which provides an on-station period of four hours, with the remaining time for handover between aircraft and the transit from Otago’s over the horizon location. At 0300, twelve jetpacks stood ready on Otago’s flight deck: one for each of the ten person recovery team and two to carry additional stores. Each soldier completed a final check of their own and their comrades’ equipment…it was time and the ground support crew assisted each to strap into his jetpack, their personal weapons across their chests for ease of access, just in case…at 0320, the hand signal was given for engine start and each soldier, slipped their jetpacks master arm switch to the ‘on’ position, signifying that each was ready for launch. The control station operators authorised the launch and each jetpack first hovered above the deck and on completion of flight systems checks, lifted off into the darkness, the only sound a deep hum that quickly faded into the darkness – reducing the lawnmower-like sound signature of the original Martin jet packs had been on of the major challenges and successes of the Defence Force programme. The dozen jetpacks hummed through the night a hundred feet over the swell, almost invisible as they flew towards the moon and the island. The ingress route stayed over water for as long as possible before cutting across the reef and the shoreline to the landing zone. Though their night vision goggles, the soldiers could see massive trees, all mapped to within centimetres by the UAS imagery, slipping by to their left and right as the jetpacks dropped to twenty feet and autonomously navigated along an overgrown logging track at 30 knots. Overheard the circling RQ-84 tracked their thermal signatures, confirming the the operators saw on their screen. Approaching the landing zone, the jetpacks slowed to a hover and gently touched down in the clearing selected as the landing zone. 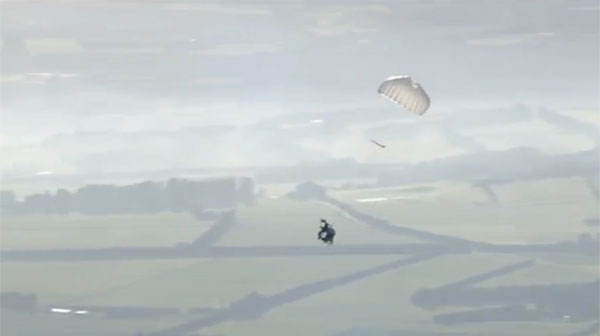 Hitting their quick release connections, each member dismounted their steed and set the flight control to ‘return to base’, sending each jetpack back to Otago; the two cargo jetpacks were unloaded and also RTB’d. as the recovery force moved to its objective, the jetbacks would be refueled on Otago and readied for the extraction phase of the operation. The recovery force moved swiftly through the low vegetation, the direct thermal feed from the RQ-84 confirming the absence of any people along their – it wasn’t considered likely that they would encounter any thermally-stealthed adversaries on this job. At the perimeter of their objective, each team members took up positions where they could observe the low bungalow and its approaches – they would maintain this observation for the hour before sunrise. Through thermal imagers they could identify one large group that was the two adults and two children that were the object of the recovery, and the individual signatures, two sleeping, two moving around the building, of the criminal elements holding them. Just before dawn’s first light, advancing in the ‘special ops duck walk’, two teams approached the building, entering it from two directions. The thuds of 40mm less-lethal rounds put down two criminals to be quickly bound and secured; another signified the less-lethal neutralisation of one of the sleepers. The last sat up, pistol in hand, to be greeted by the spitting muzzle of a suppressed carbine – lights out. Secured, the hostages are checked for injuries and escorted from the house to the beachfront extraction area, still tracked by the unmanned aircraft overhead. A kilometre away, a car roars into life and starts to move towards the extraction area – innocuous or not, this is a threat to the recovery phase: the RQ-84 locks onto the thermal signature of its engine and releases a Smart Dart from under its wingroot. Tracking the engine’s heat and boosted to terminal velocity by a small rocket, the Smart Dart brings the vehicle to a grinding halt as it plunges through the engine block. The driver sits surprised but unhurt behind the wheel. Before the 2011 election the Government announced its plans to create a national convention centre in central Auckland in partnership with Sky Casino – all the usual haters fired up at the time but now that Government has announced details of this project and the specifics of the relationship with the casino. Essentially, the casino will fund the construction of the convention centre – a projected cost around $420 million – in return for concessions to expand its number of pokie machines and gaming tables, and for some guarantee of protection from future anti-gaming legislation. Come up with their own plan for funding the construction of the convention centre – no-one really seems to think that this is a bad idea – noting the country is kinda broke due to the unforeseen need to rebuild a major city from scratch. Developed their own comprehensive AND practical plan for reducing access to to gambling systems and machines across the country – including Lotto and the good old TAB. An interesting hype piece X-47B UCAS Launches the Next Era of Naval Aviation popped up on the FB feed this morning – and that’s all it is, more X-47 hype. You can launch a 40 foot container off the end of a US Nimitz-class aircraft carrier so tossing an X-47 off the pointy end of a carrier is not really an achievement in itself. The real achievement and major step ahead for naval aviation will come when an X-47 lands autonomously on the blunt end of an aircraft carrier, catching the ‘3’ wire and all that other good Maverick stuff (will be be equipped for the mandatory post-mission high fives? 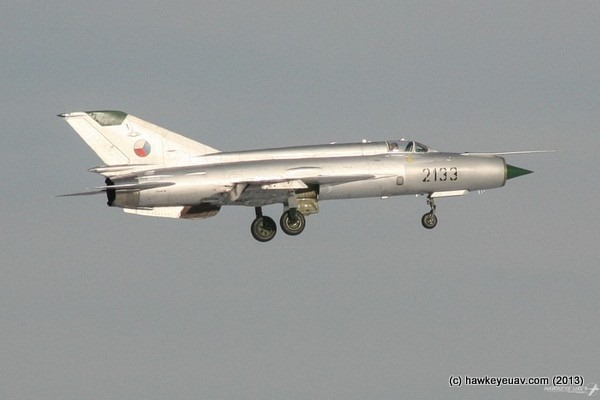 ), as the business of carrier aviation goes on around it – so long as some dodgy Chinese fiend doesn’t pop an electromagnetic pulse just as the UAV commits to landing on the deck – maybe there should be an extra Phalanx under the ramp – just in case…? How appropriate that the air port inside the Flight Test Center Airspace is Truth or Consequences Airport? Maybe we could have one called Put up of Shut Up? 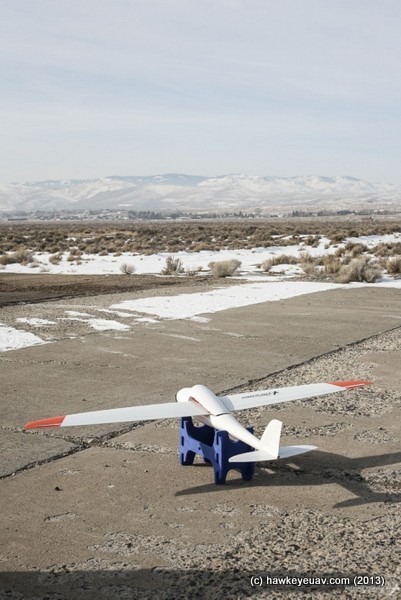 Inside the drone economy discusses US plans to establish six UAS test flight areas within the continental UAS, and the current battle between the states to acquire one of these potentially lucrative areas. 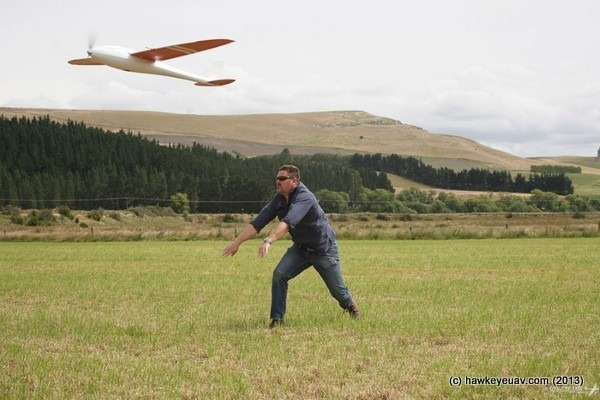 I just wonder, with our relatively clear and open airspace, domestically and over the big blue thing, whether we have lost an opportunity in attracting UAS-related technologies to New Zealand for test flight and other experimental activities…? Fresh of the presses at Deep Diver Intel as I was typing this…for reasons unknown but bound to be scary, Global Hawk gets a US$555 million reincarnation to 2015…has anyone done any counter-UAS research on the effects of silver bullets, holy water and wooden stakes on aging technologies that just won’t die…? Click to view some very cool imagery…even if it is only New Plymouth…. 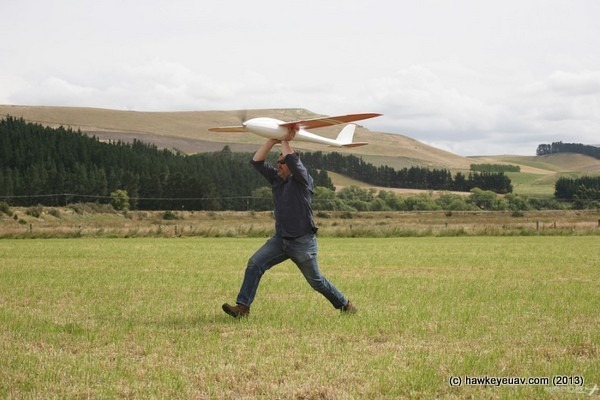 Latest update in from the lads at Hawkeye UAV…homegrown Kiwi technology in action!! Early in the New Year we travelled to the South Island to undertake a large task in the Waitaki river valley. 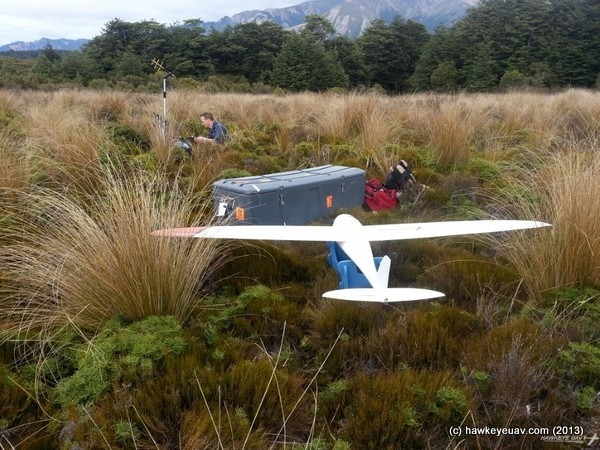 The task consisted of the hi res survey of multiple wetlands and other sites earmarked for conservation along a 30km section of the valley in the vicinity of Kurow, North Otago. Having driven down from Christchurch we approached Kurow from the North and it was immediately apparent that the Waitaki river was in flood. A quick drive around the area, checking out both the Waitaki and Aviemore Dams confirmed that there was plenty of flow coming down. After booking ourselves into the mighty Waitaki Hotel we settled into our stay and got on with the planning. With myself and David this time was Drew Gwyer, of Hawkeye UAV Americas, a very experienced aviator doing his “apprenticeship” on the AreoHawk. It was his second day in New Zealand too, so the rapid change from Maine, to Auckland, to Palmerston North and then ultimately Kurow was probably pretty eye opening! We did manage to treat him to some nice weather down there which was undoubtedly a good contrast to the snowstorms at home. Damn hard to beat a North Otago pub!!!! On the morning of the second day, complete with our bountiful packed lunches prepared by the tavern staff, we headed out early to begin flight ops. 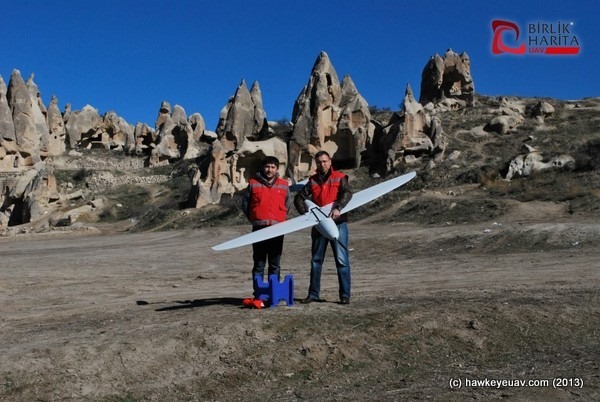 We had in the region of 12 tasks to conduct over the coming days, some of quite significant size (7-8km²). We managed a full day of flying with three full sorties and a good start to our overall programme of work. We received reassuring confirmation that our published NOTAM (Notice To Airmen) had been observed by the local helicopter operators too, who checked in with us and maintained safe clearance via radio communications during their operations alongside us in the valley. The next day started out well but unfortunately was soon blowing 50-70km/h of wind and while we did launch and test the conditions, it was plain that it wasn’t ideal for accurate data capture. Once we had resumed flying ops we began making good progress along the valley and through our tasks. We operated from a variety of sites, most of them adjacent to the river or on farmland nearby, having been up and down on the first day and arranged access with the property owners. During the 6 days down in the Waitaki we lost a couple of days to weather, both from wind and rain and that did give us a chance to visit Oamaru and Moeraki and also to further Drew’s exposure to the great kiwi flat white. 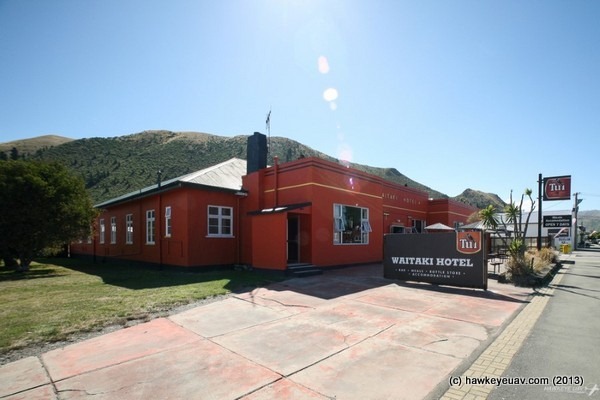 We did finish the job successfully despite the weather hiccups and bade farewell to the Waitaki Hotel and its friendly staff, heading back north to Christchurch for our return home with a hard drive full of raw imagery for processing. 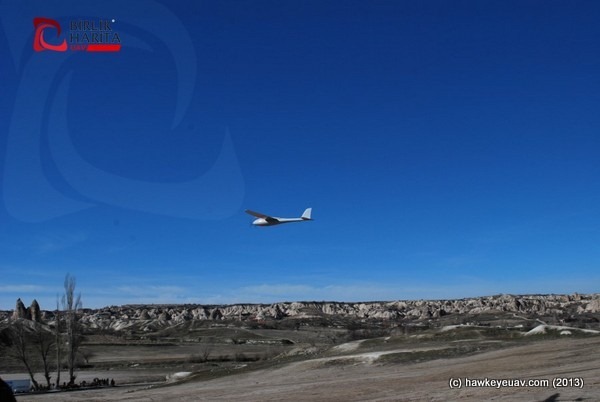 Later in January Hawkeye UAV travelled to the USA to put on a series of demonstration flights in conjunction with Hawkeye UAV Americas (HUA), at Reno-Stead airfield in Nevada. This was in part sponsored by the good folks from the Reno-Tahoe Airport Authority who have a state sponsored initiative to promote the growth of the UAV industry at Reno-Stead, which is also home to the Reno Air Races. To say they were warmly accommodating doesn’t really do them service, they were fantastic. 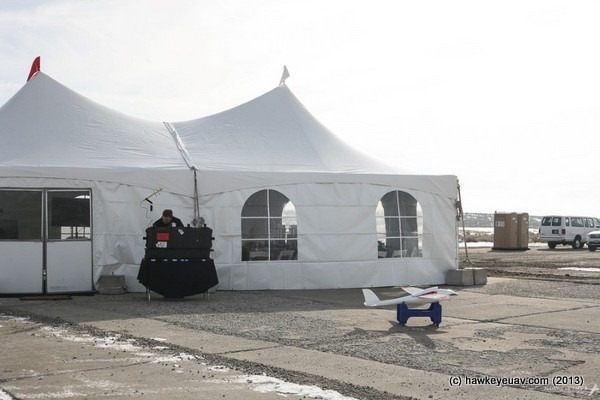 On the threshold of the lesser used cross vector runway at Reno-Stead they had set up a luxurious tent complete with gas heating, coffee and catering to keep us all in great style. What we also had but hadn’t bargained for was a lot of snow on the ground! Being mid-Winter Nevada did not disappoint, providing mind-focussing temperatures a couple of degrees above freezing. I must also add that being accommodated at a Casino-Hotel was a bit of an experience for us kiwis who can count the total number of real casinos at home on just one hand. The plan for the week here was to demonstrate the setup, flight and capability of the AreoHawk system to a steady stream of VIP guests from a range of interested industries, culminating with a media day on the final day. With the help of HUA we got underway on the first day, and after a coffee or two and warming our hands we launched the Hawk into the crisp but sunny skies of Reno-Stead, which rests at 5,000’ above sea level. We had an allocated “flight box” for our use from surface to 700’ AGL north and east of our location and proceeded to survey it, snow and all. Photographing snowy ground, especially from altitude, was going to present an interesting proposition and not something we had undertaken before, so we were curious to see just how well it would turn out, both the imagery and the point cloud. As it turned out, the results were very good. Here’s a snapshot of the orthomosaic generated. Note the tent and vehicles in the bottom right corner. In all, we flew the Hawk four times in three days, with lots of news media and VIPs in attendance for the final flight. This one, like the preceding flights went completely without a hitch, and the interviews and questions afterwards lasted longer than the duration of the sortie! Links to the corresponding media articles and news footage is here on our facebook page. 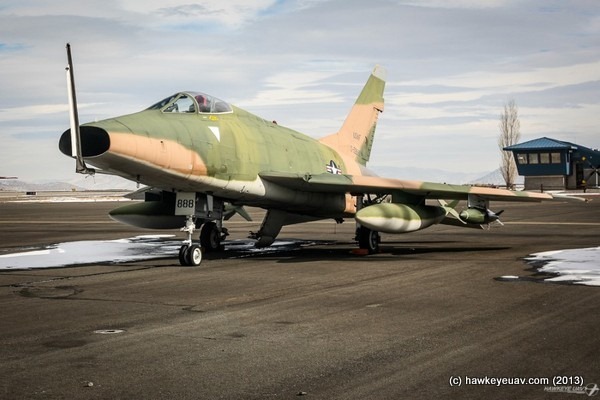 While at Reno-Stead we were also very fortunate to see some very cool aircraft, including a MiG-21 that did circuits right next to us, and we got to visit Aviation Classics, an amazing repair and custom refit shop. The first UAV operator’s course of the year was run from the end of January through to mid-February. On the course were two staff from Beasley and Burgess Surveyors Ltd of Northland, and two from Juffermans Surveyors Ltd, of New Plymouth. Both companies have purchased AreoHawk systems and their operators have now completed training ready to undertake survey work with their new gear. 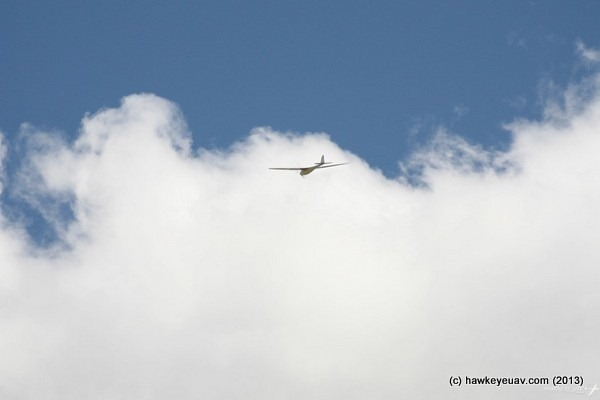 Hawkeye UAV Ltd’s commitment to ongoing support and working relationships will see us maintaining a mentoring and flight supervision role, plus providing advice and assistance with planning. Kevin O’Connor and Associates Ltd of Palmerston North are the third North Island survey firm to purchase an AreoHawk system and their training is about to begin in the coming weeks. Engagement with survey companies is a great step forward for us. 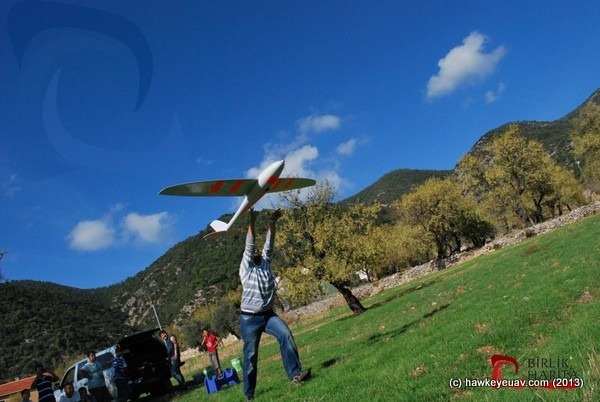 Each one is in a distinct area or province and allows greater reach of our UAV technology into these areas. 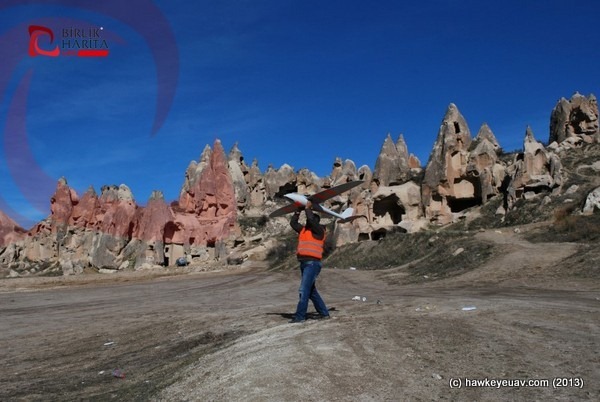 Surveyors have existing client bases that will be well-served by the AreoHawk system and will also now be able to control their own aerial photography and 3D terrain requirements of all sizes, without the need for outsourcing. Additionally, all their data will be processed at home in New Zealand rather than offshore. 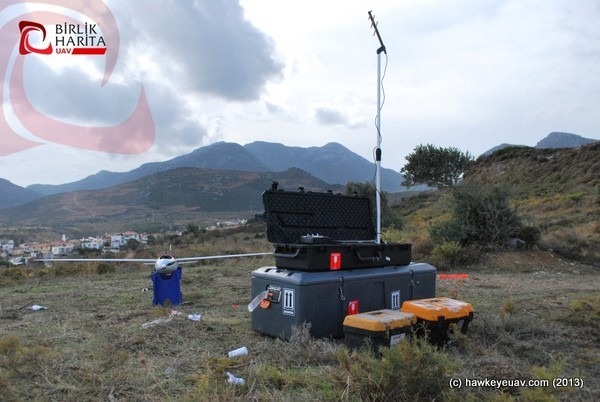 These photos are from our Turkish partners during a Cadastral Survey along the long and narrow Datça Peninsula. Datça has nine villages scattered along the peninsula. These are; Cumalı, Emecik, Hızırşah, Karaköy, Kızlan, Mesudiye, Sındı, Yakaköy, Yazıköy. 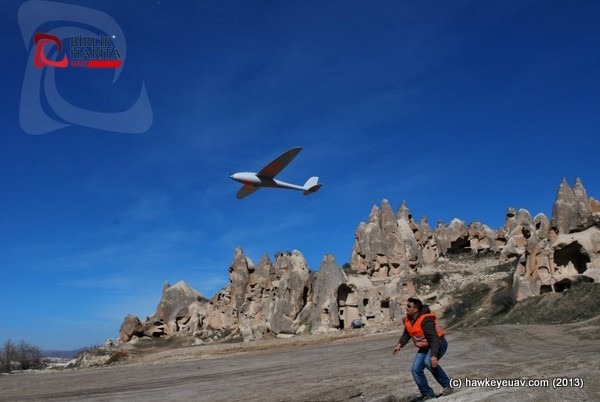 The local villagers were intrigued with the UAV and spent all day with the crew from Birlik Harita. The following photograph is of Gareth in the Kawekas while on a Department of Conservation task monitoring pinus contorta. For this we conducted both RGB and NIR (Near Infra-Red) orthophotography at 4cm resolution. 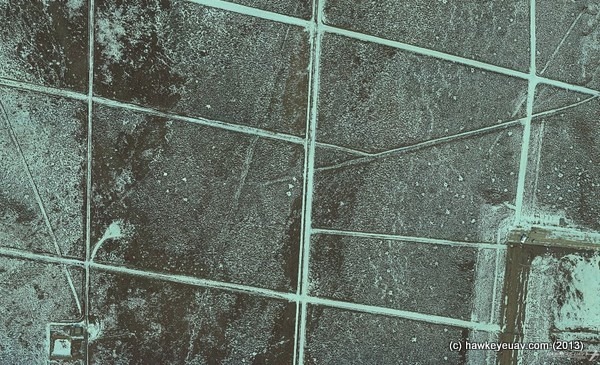 The area where the photo was taken is the only clear area of significance within the regulated flight range. This did cause some added thought to how to launch and recover the UAV, however that is part and parcel of the job. The start of the year has been mostly orthophotos, some with NIR and some without. We certainly welcome any task and hope to make the most of the great summer here in New Zealand at the moment.